The finishing is awesome. The smoothest picks i have used so far. Go over with a 1000 grit paper for a few seconds and it shines. Great feel and flex, feel sturdy and i can tension å bit harder without fear of breaking the pick. 100% quality. Just got it and had a look, if you want good quality picks don't hesitate! Might not get a huge selection for the price but you don't need that many. 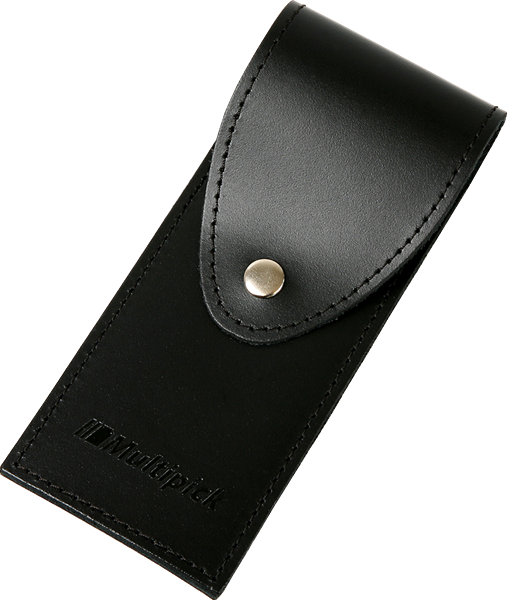 The leather case is high quality, it's not going to fall apart on you soon. The picks are crisp, well cut and smooth with some nice etching on them. I don't make a song and dance about things usually but pretty chuffed with this product, plus it was quickly delivered. A bit expensive, but beautifully made. Having seen the quality of the set I think they\'re worth the premium. Seem very durable, and work wonderfully. My first set of picks arrived today. Took me eight seconds to open my first lock:) Great kit for a great price. Thanks. 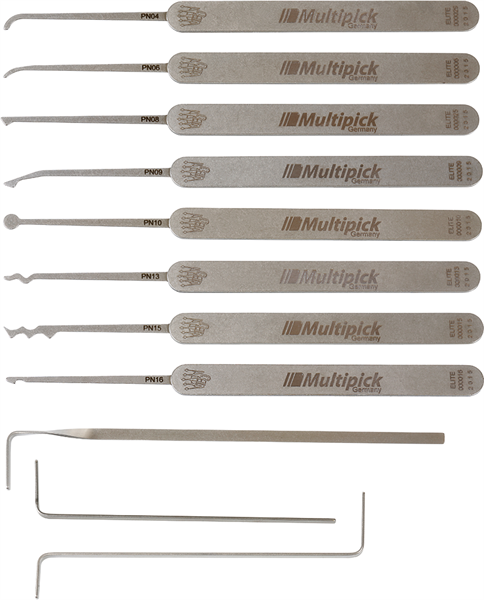 Good pick set & very solid. You can't go wrong with this kit. Arrived in time. 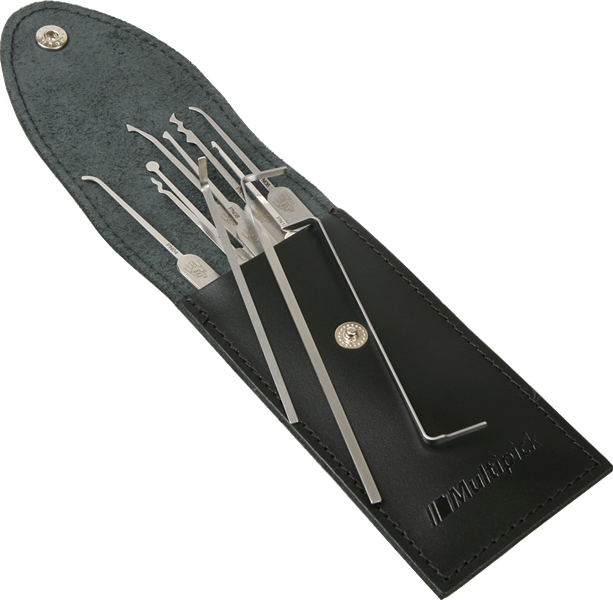 The best lock pick kit for the price. The quality of this kit is awesome, perfect thickness and weight, great for picking narrow keyways. Very pleased! My new companion, no more paperclips. Very good quality and work in most UK locks. Good value for money. Recommended. This is an amazing lock pick set. Excellent quality and well designed. Very good selection of solid picks, no sharp edges, nice leather pouch. Fantastic! Having read a few reviews I decided to buy this kit to replace one of my southords. 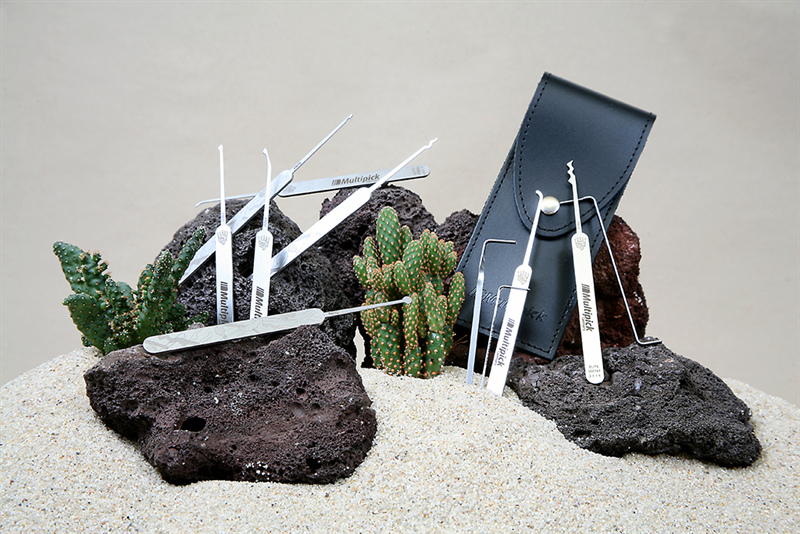 Very versatile set, offer a good variety of picks and tensioners and fits well in the hand. Quality product for a great price. Quality and excellent with the training lock. See review on that. These are awesome picks. Purchased after BosnianBills review. Quality wise better than Madbobs. Thin tough picks, tried them for a month, tremendous feeling and feedback. Great kit. As Bill said hope they start selling in America! Well made and recommended by bosnianbill on his youtube videos, very pleased with the kit and very fast shipping. I gave my set an additional polish but that\'s my personal choice but you could use the straight out of the packet. The selection of Picks and the leather case is superb. In comparison with the other pick sets i own these are by far the best. 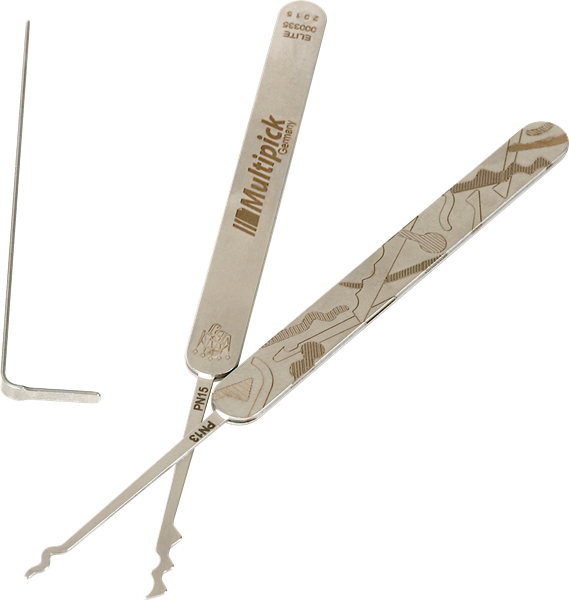 The picks are well designed, the grade of steel the build quality and it\'s effectiveness on european locks surpass all other pick sets available on the market. Just watched Bosnianbills YouTube review this item gets 10/10 quality item. Fast delivery, product as described and absolutely high quality. Without any doubt I will buy more tools. For most of the work this pickset is more than enough. Great. Robust and affordable. Even with rough handling the picks hardly bend. Should the picks somewhat bent, you can simply re-bend them. I am very satisfied!